Don’t be fooled- a moped is not the same as an electric bicycle. Electric bicycles, or also called eBikes, carry a battery on board, but the rider has to pedal it at some time. Most electric bicycles are pedal-assists, while some are designed with throttles. And now that you want to have your own eBike, you might surely want to go with the trend. Let’s go over the following list of top 10 eBikes this 2017 (in no particular order). Raleigh eBikes are powered by Bosch battery, ranging up to 110 miles in Eco Mode, which is an ideal choice for flat terrains. However, it is less powerful than the Turbo mode. This eBike is designed with lights, mudguards, a built-in lock and a luggage rack. It also features a Walk button, which, as the name itself implies, provides slower assistance when you push the electric bicycle along. Almost all Cube mountain bike versions have an ebike type to pick out from, making Cube one of the finest eBike manufacturers in the industry. And their Cube Dehli & Elly has made it into our list of top 10 eBikes this 2017. All models of electric bikes are augmented with the popular Bosch systems. Aside from that, they keep the bike around the bottom bracket, keeping the weight down low and more-balanced. This hybrid model of comfort-oriented eBikes comes with a front suspension and flat handlebars. If you’re looking an electric bike that is simple and direct, and needs minimized maintenance, Cube Dehli & Elly can be one of the best options for you. If you need a high convenience factor in your cycling spot, this eBike is all you need. This electric bike is foldable, so you can take it if you commute on trains, and conveniently store it indoors for additional safety. The battery of Coyote Commute Folding eBikes, with cells courtesy of Panasonic, comes with a range of 30 miles. A lot of riders love this eBike because it’s an enjoyable ride. The main drawback of this ride is that it has 2-inch wheels, making it less stable than a full-sized bike. Scott boasts a wide selection of eBikes, and they were able to maintain a typical ‘Scott-like look’ of all their eBikes. As of now, the E-sub bicycle comes in a more hybrid oriented look with a conventional ‘step-through’ frame design perfect for new and seasoned cyclists. Both Scott E-sub & Silence eBikes use Shimano STEPS batteries and front suspension. Well, these features may lead to an awkward distribution of weight, but if the ride is bring on some panniers on the racks, then it would not make any difference. The E-Silence is included in the list of ‘what’s new on the eBike world?” This electric bicycle comes with a battery that is included into the downtube, making it look more balanced and attractive. Some other impressive features include the integrated bike lights, modern appearance, and the clean lines. The Krieger eBike is a crank-powered ride designed with a throttle for powerful cycling without the need to pedal, though it is also a pedal-assist type. The throttle is a great feature for the rider to scoot along easily even on steep hills. If you are looking for a powerful ride for most hills, the Woosh Krieger is a great option for you. It boasts a range of up to seventy miles, or sixty miles, of the rider takes it easy when pedaling. It’s not a bit light, but definitely manageable to cycle even without assisted power. When it comes to top 10 eBikes this 2017, then we need to include Haibike Urban. 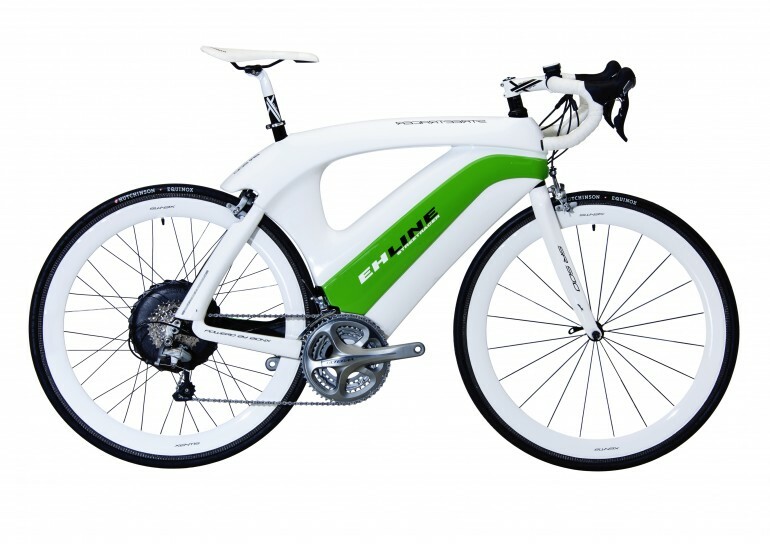 Haibike is a German brand that is known as a market leader when it comes to producing and designing electric bikes. Well, it’s fame it not just because of their award-winning designers, but also because of their wide-range of eBike products. Surprisingly, however, their eBike are mainly of-road, but the Haibike Urban delivers a tarmac-oriented discovery with integrated lights, pannier racks, and amazing speeds up to 28 miles per hour. The top spec boats Plus-sized road tires for additional comfort and grip, and the range begins at around £3,199. One tip: since there are only a few shops in UK that stock these eBikes, it pays to do your homework. If you’re looking for a stylish eBike this 2017, Volt Kensington can make a great option for you. Volt comes with a great look, in white and pastel colours. With a single full charge of the Panasonic battery, the rider can reach up to 600 miles. The best thing about this bike is that it is very easy to ride, making it an ideal choice for beginners. It boasts five different power levels, with a powerful throttle for travel with the need to pedal. As standard features, the Volt Kensington bike comes with lights, mudguards, and luggage rack. It takes three or more hours to recharge the battery of Volt Kensington eBikes. Perhaps, you have already seen those impressive JML-themed advertisements on TV for the latest GTech AirRam vacuum. You may also have been amazed by their over TV ads for their GTech eBikes. Well, GTech could not be labelled as a cycling ride, but with its amazing battery power, it is surely a great option. The ride is very simple, and it has a modern-looking designed that comes with a 14-day trial along with free delivery. GTech eBikes is designed with 20” wheels and a standard diamond-shape frame. The battery, which is exclusively owned by the brand itself, has a built-in computer system that consistently measures the pedaling. And instead of a constant uncontrollable stream, this feature also adjusts the ride power to give the rider a boost whenever necessary. If you don’t love maintenance tasks, there’s no need to worry because the internal gears and belt-drive will give you an extra layer of convenience in terms of upkeep. Gocycle G3 eBikes have a stunning design with impressive details, even down to the impressive daytime light through its handlebars. The magnesium frame design makes it an easy and light ride. The wheels are also detachable making it stowable even in small spaces. The throttle button enables the rider to apply power effortless. With a range of up to 50 miles, it needs five hours or more to complete recharge time. For additional information about the battery life, calories burned, speed and more, this bike also comes with a smartphone app. It also has a unique ‘kill option’ so Gocycle could be immobilized once stone. If you’re on tight budget, you may also consider the previous model, G2, which is on sale for less than £500. Both of these eBikes offer an ultra-smooth and enjoyable ride. The Volt Metro is a bit lighter than some foldable eBikes. Fold-ups can’t match full-size bikes for their stability and stiffness, but 2-inch wheels are faster and more stable than some 16-inch wheels. Although the range is 40 miles, the rider can also go for a larger battery that offers 45-60 range. Just like the other electric bikes in the line-up of Volt, Volt Metro comes with lights, mudguards and luggage rack. It is basically a pedal-assist type, but also comes with a throttle. You can pick from black or white versions. There you go- top 10 eBikes in the marketplace this 2017. Again, keep in mind that the list above is arranged in no particular order. Each bike has its own advantage when it comes to range, ease of use, battery power, price and other factors. At the end of the day, your choice of eBikes depends on your personal preference.